Recently, One of my favorite playwrights debuted a new play in Kansas City. 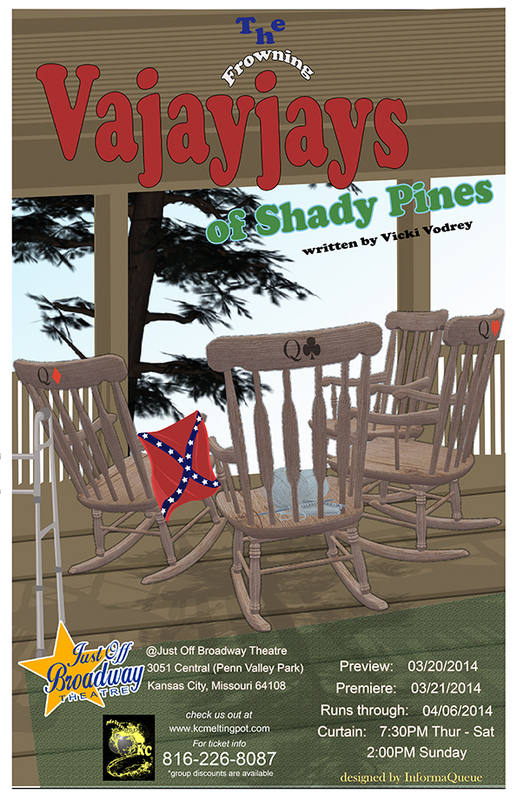 Vicki Vodrey’s The Frowning Vajayjays of Shady Pines focuses on a trio of elderly Southern Belles, who live in Shady Pines Retirement Home. However, their lives are turned upside down when Bertie (Sherri Roulette-Mosley) moves into their quad…despite objections from Lila (Petra Allen), who showcased racist tendencies. Most of the play’s action focuses on the dysfunctional duo’s verbal duel of ideals, while playing bridge with their fellow residents Marilyn (Nancy Marcy) and Peggy (Cindy Siefers). In the years that I have known the playwright, the Frowning Vajayjays is one of her best pieces of work for two reasons. A crucial part of a great production is always an amazing script. Every zinger (appropriate or crude) that Allen, Marcy and Mosley threw out in the production was gold and will leave audiences in stitches. In addition, Vodrey was able to delicately balanced black comedy and historical drama, while injecting some philosophy into the production. The Frowning Vajayjays’ ensemble showcased some splendid performances. I could not keep my eyes off of Petra Allen. She was able to bring Vodrey’s work to life as the bigoted octogenarian. For the millennial generation, Allen’s portrayal of Lila would remind them of an amalgam of the Golden Girls’ Blanche Devereaux and Will & Grace’s Karen Walker. Another strong performer was Sherri Roulette-Mosley. Ms. Roulette-Mosley brilliantly mixed fiery compassion against bigotry and brutal tough love when she played the newest resident of Shady Pines. Other standouts included scene-stealer Nancy Marcy and the lone male in the production, Jeff Smith, who grew leaps and bounds from Lucky Streak. 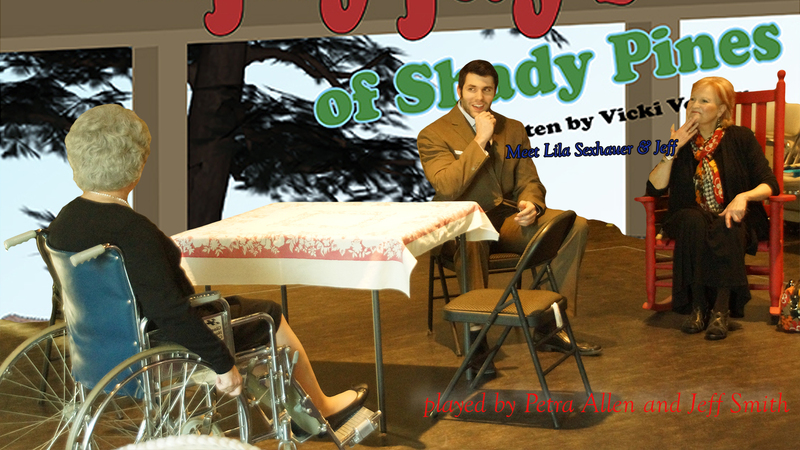 MeltingPot KC will present “The Frowning Vajayjays of Shady Pines” at the Just Off Broadway Theatre until April 6, 2014.